Downloading documents from the hyperlinked “here” found at the top of this article is a three (3) step process. 3) Click on the “Download” button. NOTE: This is a 413.96 MB zip file that will be downloaded to your computer or device – be sure you have room for it. I hope the military realize it would be better if it was in Mountain Home instead of Boise. It would be cheaper since they have the required support and benefits available to our military soldiers. I think we will end up with a newer plane. Newer in the sense not as old as the A-10 but not the F-35. Or they could just move the guard totally to another state where it would serve the overall mission. Thank you for your perseverance and getting this information! The whole shameful affair stinks to high heaven. There is no good place for the F-35 Noise Monster planes in Idaho. They pose a great threat to Idaho’s wildlife in the Owyhee Canyonlands. AND the great Bieter and ID Cong delegation promises of “jobs” galore. Guess what. The ultimate plan is to have these aircraft be unmanned. Unfortunately for Mayor Bieter and his gang (for lack of better name), people of Boise are not dumb and will not be conned by his “message”. Idaho Power? They spend buckets of money trying to make me think they are a caring company. Good job getting the scoop on these documents Editor. So sad our local media refuses to cover the story without bias — or even cover it at all until about six months ago. It is plain to see from reading the documents and speaking to the players — they are knowing full well they are telling YUGE lies. Now we just need to find the grease money. I wonder if you found the money and showed it to KTVB, would they run the story? Channel 7 is the least likely station to run this story, Love It. and the odds of one of the other two running it are long indeed. Thank you very much for the well written article! The manner with which the city, state, and congressional delegation leaders are handling this is deplorable! Why are they so afraid to accept the GUARDIAN editor challenge to bring in a couple f-35 and let us see and hear them at full afterburner and full load? Put some db meters out and record the noise or lack of. They visit Mt. Home, but never show their face in Boise. Loads of info in that file. This shows the city is contacting everyone and trying everything to get this decision made in their favor. One of the deciding factors maybe the “x factor”or citizen opposition and the amount of noice that can be made. There are lots of .mil email addresses in that archive that could expand the noise of opposition. – Email from Idaho ANG to City of Boise regarding the need to install a barrier or cable arrest system on the south runway (sounds expensive). To any legislator who may read the Guardian blog…. The information provided in this story illustrates yet again how political subdivisions misuse taxpayer provided resources. The same occurs frequently in the City of Boise and it political subdivisions. (CCDC, Auditorium District, etc.. Whereas mayor Bieter’s streetcar dream remains a persistent fantasy on his part, he is on solid ground when promoting the air national guard’s contribution to the City of Boise, which is genuine, substantial, consistent, and historical. Given the historical nature of this military presence, those who elect to settle near the airport, and then deign to complain about the noise, have nevertheless been given fair warning / notice, and thus have no justifiable cause to complain. Caveat emptor! They should join in the appreciation of Boise’s being part of our strong military and hear those jets taking off with sincere gratitude. JLR, Ya got your Speedo all in a bunch for the wrong cause. The primary problem here is the government conspiracy to tell lies to the public. I should not need explain this to you. Is your law firm gonna profit from the noise too? Are you helping them lie? You folks in the ivory tower take for granted we rats who run on the wheel and keep your lights on. If this airplane is based here, it should have departures to the north over downtown so you can feel the sound of freedom too. BTW: Our military has been made weak by the overpriced underperforming F-35. This same scam has been run before, but the military brass plays along so as to get a nice retirement job with a military contractor. Thank you for taking the time to contact me with your suggestion. The City of Boise has no say over what aircraft can or cannot fly in and out of Gowen Field, and this includes the possibility of having an F-35 visit Gowen so residents can hear the noise it makes. If you would like to make this request to the Idaho National Guard, please contact Major Christopher Borders by calling (208)422-5268 or by email at CHRISTOPHER.L.BORDERS2.MIL@MAIL.MIL. It is important to keep in mind that the decision about any long-term flying mission for Gowen Field will be made by the U.S. Air Force and their decision making process will include a significant amount of public input opportunities. We are many months, if not years, away from any final decisions being made, which will include the official impacts that such a mission would have on surrounding neighborhoods. I hope this information is helpful. Thank you again for taking the time to contact me. 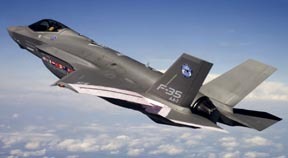 EDITOR NOTE–As we observed in the main post, these impersonal form letters all say the city has no voice, yet they devote money, resources, and staff time in their attempt to lure the F-35 to Boise. I would like to explain why ANG base selection for F-35 is not a fair and transparent process by USAF, but has to be influenced by politicians such as Idaho Congressional Delegation. If Greed is Good, then Profit is Necessity. Like in horse racing, fixing the winner, and placing the right bet, Maximizes the Profit. Members of Congress are wealthy because of that. In our capitalist society, when thousands of home owners are asked to accept partial or complete loss of home value for the “greater good” such as deployment of F-35 in their city, I know public opinion is being manipulated. Dont’ get mad, get greedy. Demand monetary compensation for the noise and loss of home values. I think it is reasonable to say Boise has “no say over what aircraft can or cannot fly in and out of Gowen Field”. That is the military’s decision based on the city’s influence. However, Boise does have a choice whether to be inviting to the Guard at all, and whether to invite/allow the the Guard to be a tenant at Gowan. Of course, the IDAHO Air Guard needs to be SOMEWHERE. I welcome the Guard in Boise- with whatever toys they want to use; please build an exclusive airstrip East of Boise and fly to your heart’s content, over there. EDITOR NOTE–Your airstrip already exists at Mt. Home AFB! Anything in between would have conflicting airspace. SE if the tank shooting range and we don’t want to shoot down F-35s at their price tag. I DLd the database and I found many interesting elements. One was a article about the FAA providing few options for Bunrlington Vermont residents, surrounding their airport. They are stuck with buying up many homes and providing sound mitigation for many, many more. Another source of contention was the loss of tax revenue for South Burlington when homes are bought and demolished. Doucette said he hopes to see the city rezone those areas for commercial land use. I disagree with your statement that the mayor has waged a “public relations offensive against the citizens.” From my perspective, as someone who would like the F-35’s in our fair city, I see him as advocating for the best interest of his citizens. Look, I’ve lived in Boise since the 60’s. I’ve seen people buy the cheaper real estate near the airport and build houses there. News flash: Your land was cheaper BECAUSE IT WAS NEXT TO AN AIRPORT! I have zero sympathy for those who built or bought homes near an airport and are now complaining about airport noise. Dearest Angry F, Your disagreement is based on an incorrect presumption and/or the mayor’s anti-citizen propaganda. Homes many miles from the airport are slated to be disturbed, not just those inside the noise loops. Also don’t forget the doctor’s point about air pollution. We are consistently one of America’s dirtiest cities without even factoring in the annual forest fire fostering industry. Many cities do just fine without military money wasting, so the case for how we will shrivel and die without Gowen is bull. Money spent in Mountain home is money spent in Boise anyway. Mayor wants all this noise as a tool for stirring the real-estate pot. Team Dave is using noise to make way for commercial developments. There’s billions to be made by destroying the residential Bench and redeveloping commercial. It is why mayor is not hard selling a quiet military aircraft. They want to cause this problem for as many as possible. The Mayor, his team, and their spouses make huge bank by forcing transactions. It’s the age old government function of causing problems so they can swoop in and fix them with truckloads of federal money. Lastly I’m going to rezone and build something you don’t like all around your home. It will knock 50% off your value. I have zero sympathy for you. You were foolish not to see this rezoning in your crystal ball. I concur with “Love It” . Of the only 2 comments Mayor Bieter made during many hearings for Syringa Valley development near airport, one was if there is going to be enough land promised for commercial development. There is a shortage of commercial zoned land in Boise. Also, saying you have zero sympathy for other people in Boise, such as residents around Airport, detracts from Angry Floyd’s point. Because people are less willing to hear out someone who does not care about others. I am sorry to say the Mayor has his mind made up and no one can change it. it is like a new development and we voice our objections and opinions and even show it is causing a burden to that area and he stills approves. Let’s be clear about one thing: Never has a guard unit shut down or moved to another state. The National Security Act of 1947, which formally created a guard unit in each state (air and army)as well as Pentagon policy prevent that. Only active Air Force units have shut down, such as Plattsburgh Air Force Base in upper New York in the 1980s. You can take that to the bank. Don’t let any of the F-35 proponents bamboozle you about losing the Air Guard. It will always exist and stay in-state. The National Security Act of 1947 and Pentagon policy assures that each state will continue to have both an Air Guard and Army Guard.